Two Successful Businessmen Meeting In City And Greet Each Other. Description: Two successful businessmen meeting in city and greet each other. 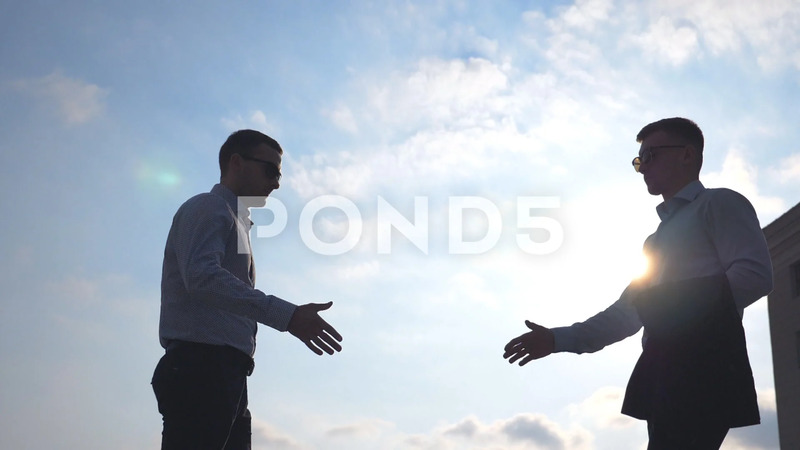 Young male colleagues shaking hands outdoor. Handshake of business partners outdoor. Blue sky at background. Slow motion Low angle view.